Always keen to branch out into all aspects of tech, Alex Savin, Robbie McCorkell and myself have been badgering away (ho ho!) at creating our very own podcast. 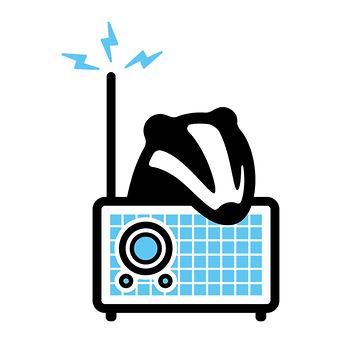 Tentatively titled “Red Badger Don’t Care…”, the podcast will cover a wide range of tech and science topics, and will regularly feature guests from both inside and outside of Red Badger. We are currently preparing to record our third episode, and although we have not yet released on iTunes, our first two episodes are available for download now and we welcome feedback! Also known as “Three people figuring out how to Podcast”, we navigate the strange new world of talking about interesting things while microphones are pointing at you. We discuss Dark Matter, Facebook React, GitHub, and Roisi’s confusing feelings about Patrick Stewart. The difficult second album of our podcasting lives! We discuss hyperlapse, renewable energy, Babylon 5, outdated laws and Piracy (the internet kind, not the boat kind). We also introduce a new game, 3 degrees of Law and Order! We have some great interviews planned with Joe Dollar-Smirnov and Cain Ullah, as well as some exciting plans to talk to people outside of Red Badger. We’re still learning and growing and we look forward to getting our work out in the world!